Y'all, I don't have to tell you, but tanning beds are the worst. We've all been there, done that..but now that I'm about turn turn errr 28, I know better. 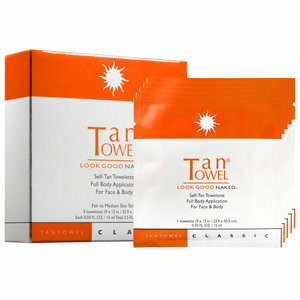 I received a Tan Towel sample a hot minute ago and just recently tried it out. I am hooked. Yes, I will still get a spray for special occasions and when I'm feeling especially translucent, but these are the perfect fix for those in-between times. Not streaky, not orange, not expensive..I'm in sunless heaven. Sephora has their whole line of Classic, Plus, Anti-Aging, you name it. Get yours here. LOL @ "when I'm feeling especially translucent"